Install latest Inkscape in Ubuntu, Linux Mint, Elementary OS, and derivatives system - As most of you may already know, Inkscape is free drawing software with capabilities comparable to Adobe Illustrator, CorelDRAW, or Xara Xtreme that used by design professionals and hobbyists worldwide, for creating a wide variety of graphics such as illustrations, icons, logos, diagrams, maps and web graphics. Inkscape uses the W3C open standard SVG (Scalable Vector Graphics) as its native format, and is free and open-source software. You can import and export various file formats, including SVG, AI, EPS, PDF, PS and PNG. Although it's free software, Inkscape has a comprehensive feature set, a super simple interface, multi-lingual support and designed to be extensible, you can customize Inkscape's functionality with add-ons. The newest version of Inkscape is 0.92.2 which released on 2017-08-07, brings a number of fixes and small usability enhancements to this popular vector-graphics application. It is also the first release after migrating the project's code to GitLab. These amount to a more stable and capable creative tool that can now receive improvements from a much larger development community. Complete release notes can be found at release note. In June, the entire Inkscape code base and its many branches were migrated to a git repository hosted by GitLab. This was a massive undertaking requiring months of preparation. GitLab was selected as the host of this repository due to its own demonstrated commitment to open source. This change is an important part of making Inkscape more accessible to more developers interested in contributing fixes and adding features. More about the decision to move to git and GitLab can be read here. 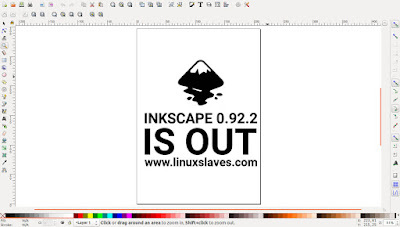 Inkscape 0.92.2 is available in its Stable official PPA repository for Ubuntu 14.04 LTS Trusty Tahr, 15.04 Vivid Vervet, 16.04 LTS Xenial Xerus, 16.10 Yakkety Yak, 17.04 Zesty Zapus, and latest Ubuntu 17.10 Artful Aardvark and its variants. Type your password and press Enter to continue. Cheersss! 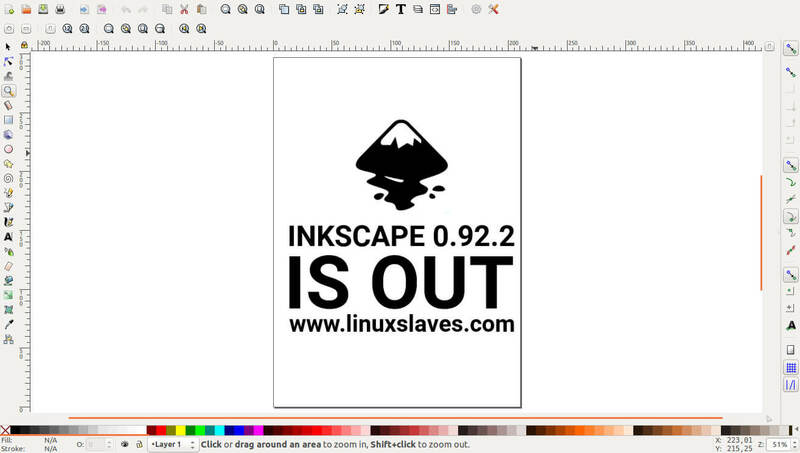 Enjoy draw freely with Inkscape 0.92.2 in your Linux desktop!! These were all how to install the latest version of Inkscape 0.92.2 in Linux : Ubuntu, and derivatives system like Linux Mint and Elementary OS. Thanks for reading our post!